This is the much awaited replacement as requested by Erle to MTG 5. Covering 6 hours of instruction over 4 volumes, Eli breaks down both single and double push hands more than ever before to give the video learning student the best possible chance of learning. Until now there has not been a suitable video that can really teach someone how to do push hands, with out the aid of seeing a teacher in person. Now with this new video series two people with no experience will be able to learn. 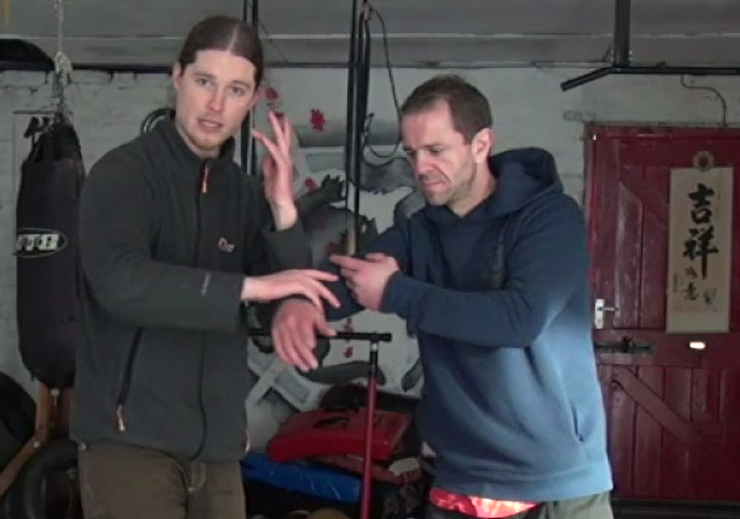 This is Old Yang Style push hands as taught by Erle Montaigue, we use push hands to learn about self defence, not to be able to beat other people at doing push hands, as this is a useless skill, but rather take this training tool, and learn many fundamental principals of fighting. On this third volume, Eli takes you through the the basics of doing Old Yang Style double push hands as taught by Erle Montaigue. No extra applications, just the total foundation of what all the rest of your push hands is built. Eli Breaks down the individual principals like he does in his workshops, showing exactly how to time the different postures together, breaking down each individual part.